Lantanas are fast growing, shrubby, spreading or trailing evergreen plants that grow from 1-4 feet tall. 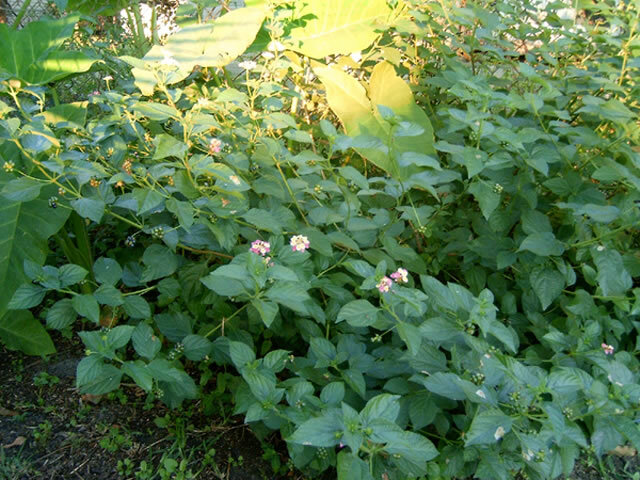 Trailing Lantanas, Lantana montevidensis can be used as ground covers and will spread as far as 6 feet and help control soil erosion. 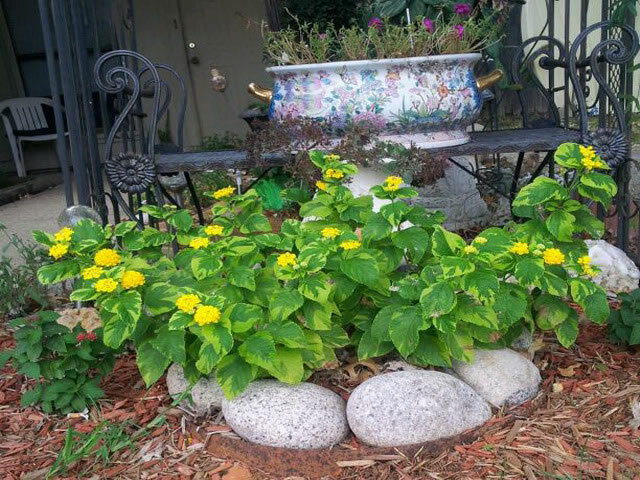 Lantana plants produce flat-topped 2" clusters of bright, multi-colored tubular flowers in the summer and fall. The flowers open pink, yellow, lavender or orange before turning to red, white, rosy-purple or orange. It is not uncommon for several colors to be found in the same cluster. Most Lantana Plants are only hardy in USDA zones 8-11, but some new hybrids are hardy in zone 7. In areas where they are not hardy, they are grown as annuals or as House Plants. 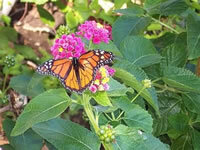 Lantanas should be grown in a warm part of the garden where they will receive full sun. They should be planted in fairly rich, loamy, well-drained soil. Water regularly and deeply during the first growing season to establish a deep, healthy root system. After the first year, continue deep watering but water less often. Over watering can cause flowering to decline. 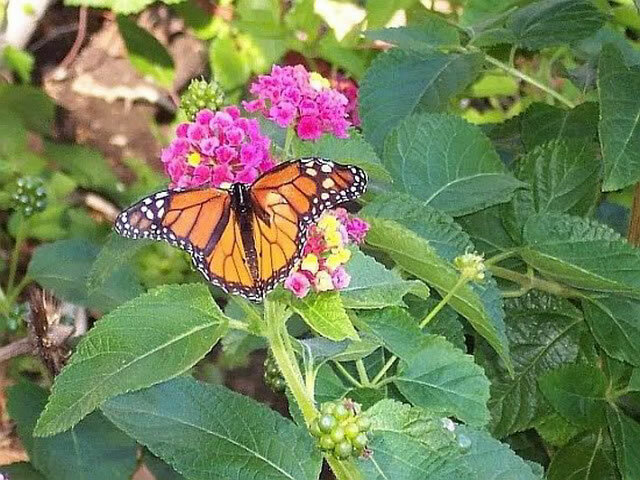 Once established Lantanas are fairly drought tolerant plants. 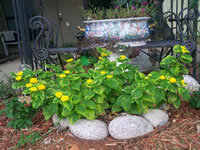 then feed your Lantana lightly before new growth begins, using a good all-purpose fertilizer. Pinch the tips of new growth to induce bushier growth. When growing Lantanas as house plants, they should be planted in a rich, fast draining soil and grown in a bright, sunny spot with night temperatures at about 60°. Allow the soil to dry between waterings. Take cuttings in the spring and keep the buds pinched off until fall to have Lantana flowers indoors during the winter months. Check regularly for white flies and spider mites! Lantana plants are fairly easy to propagate with stem cuttings taken during the summer. Dip the ends in rooting powder and push them into a small pot filled with sterile potting mix. Keep them in a warm, sunny place until the roots are well developed. Start Lantana seeds indoors, 12 weeks before the last killing frost in your area if they are to be grown in the garden, or at any time for indoor use. Maintain a temperature in the growing medium of 70°-75° until germination, which takes 6-8 weeks.